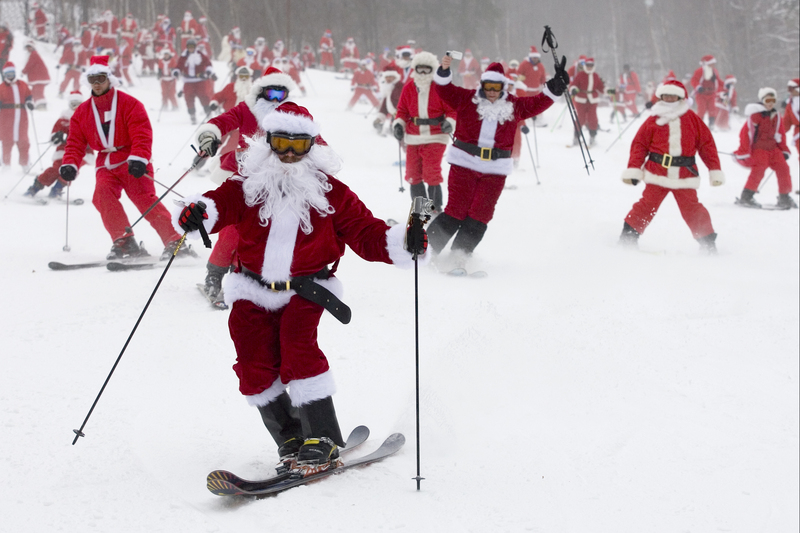 Sunday River Resort of Newry, Maine celebrated their 12th annual Santa Sunday earlier this month, hosting hundreds of skiers and snowboarders who donated to help the Bethel Rotary’s Christmas for Children program. Sunday River offered the first 250 resort-goers who registered online a chance for a free lift ticket for that Sunday morning, under the condition that they show up in a full Santa get up, and made a cash donation of $10 or more to the Bethel Rotary. Registration slots online filled up in less than 10 minutes, and that Sunday the slopes were a sea of red suits and white beards. Unfortunately, Santas were only allowed to ski until 11:00 a.m., at which point you could continue your pass for the day only by participating in the annual Santa photo shoot. 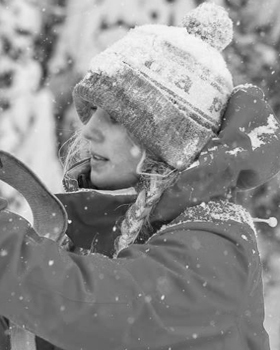 Photo shoot participants also received an additional lift ticket good through the 16th of December. If you were unable to attend this year, be sure to check out Sundayriver.com this coming season for event details and dates.